A parent/guardian's role is to attend and take notes at weekly lessons, to give praise and encouragement, to remind students of their assignment and to set up a good environment at home for practicing. 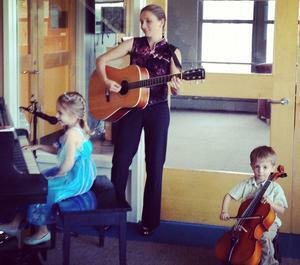 The teacher’s role is to meet regularly with the student to review and refine previously learned songs. We learn new songs by tackling the “practice points” or new skills first. The student’s role is to practice. I encourage all of my students to use simple kitchen timers to set the boundaries for practice. What is the "Suzuki" method? The Suzuki Method is based on “Suzuki’s Great Discovery," that principals of language development are applied to the learning of music. We utilize this natural learning pattern of listening, trying, repetition and mastery in our teaching styles. The Suzuki Method stands alone in the vast selection of teaching methods as one which lays a tremendous foundation for playing and enjoying playing right from the very first day. Skills are learned and reviewed as the students grows in their technique and repertoire. Each teacher brings their own “style” to the method. 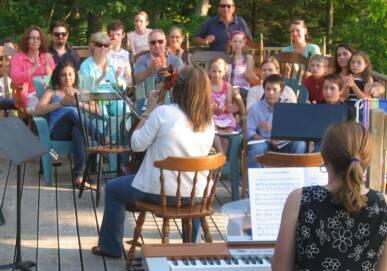 Playing your instrument with other students is a joyful experience. It is the most gratifying reward. When you play in ensembles with other musicians you begin to appreciate all that goes into your effort and it is all so worthwhile. It truly is a gift you give to yourself and will last you a lifetime. We use a holistic instructional approach that can be built upon for a lifetime. 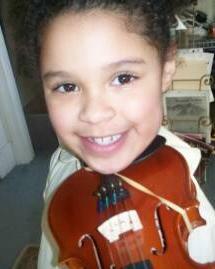 Students will learn note reading, music theory, scales and a variety of musical styles in a nurturing atmosphere. Students will also be given performance experience in recitals. Learning to play an instrument is fun and motivating especially when you can continually see improvement. It is our hope that we can help contribute toward students’ ongoing growth as musicians and learners. This policy is designed with the student’s best interest in mind. Both the teacher and student need to have a common set of goals to work toward. The goals listed below are designed to help students make progress and to enjoy their instruments and get the most out receiving lessons. Payment is to be made at the beginning of each month for all lessons in that month. If a lesson is to be missed, there will not be a refund for the missed lesson, however, if possible, a make-up lesson may be scheduled for some time within that week. 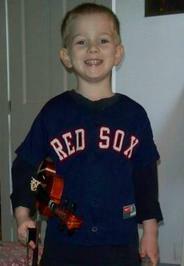 To inquire about violin lessons, contact Heather Swanson at 508-685-4279.
about lessons!​ Fall scheduling in process! For the cello bow hold, it is important to keep your fingers rounded, gently wrapped around the stick. It is especially important that the thumb is bent. The top corner of the thumb should be nestled in the corner between the stick and frog. Yo Yo Ma playing Elgar Cello Concerto: Notice the great use of his bow!